We offer our services at no cost to families. When it comes to adoption… if a family is willing to care for an orphan for a lifetime, shouldn’t the rest of us do whatever we can to help them along the way? Regardless of the type of family transition… we believe God calls us all to share on another’s burdens, especially when those burdens are threatening to envelop us. Our budget goal is $3600/month. This amount covers housing, utilities, food, personal items, ministry expenses like staff, transportation, taxes, and administrative costs. **As of May 2018, we are at 68% of that monthly goal. Without additional support, we will be forced to decrease our services at a time when Nicaragua’s political, social, and economic climate is in turmoil. In other words, we will have to stop serving families at a time when trauma and transition levels are extremely high! “We live and serve cross-culturally in Nicaragua. We, ourselves, are the recipients of the generous and obedient giving of ministry partners. We could easily justify that we ‘give’ enough by serving and living cross-culturally… but God’s Word tells us that giving is good. We have a ground-level view of many ministries here; we feel that FIT Nicaragua is one of the BEST ways to impact and nurture lives in Christ. God Himself adopts us into His forever family when we believe… and while we, personally, are not walking the road of adoption on earth, we can participate in this Kingdom act by partnering with FIT. 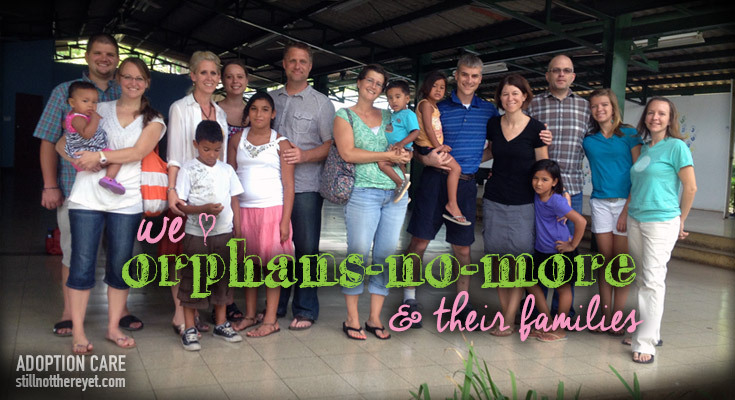 We are able to accept tax-deductible donations to our Nicaragua adoption care project (Carlos & Sharla Martinez) through the Shepherd’s Staff. Use the green donate button to get started online! OR, you can complete this EFT form and either mail it in with a cancelled check or email it with your credit card information.